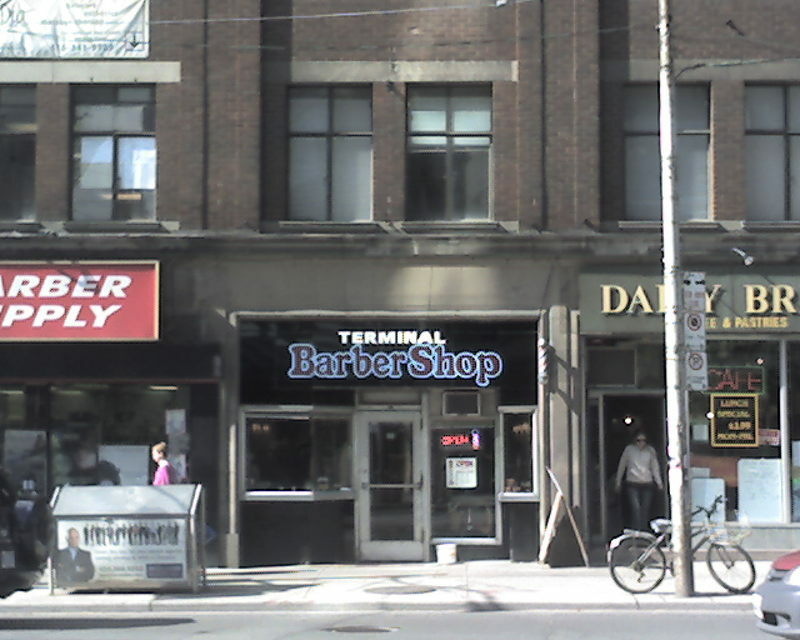 I love going to Toronto if not just for the wealth of wacky signs. This one on my way to a meeting. The UPEI Robertson Library recently hosted a 2-day session on Metadata and the Fedora repository system. Day 1 was an all-day introduction to metadata with Mark Jordan. Mark provided informative and rich session that covered the basics of using metadata in the library context. Mark's presentation was very timely, with a number of people present working in a partnership on the CCOP-funded Fedora Commons) provided a general overview of the Fedora Commons project and why an increasing number of institutions are looking at Fedora. Carol also created a detailed post on her visit to the Island and an overview of what we are doing here. Chi Nguyen (Macquarie University) provided a very timely talk on the Fedora authentication/authorization/XACML work they are doing in Australia. We were certainly eager to download their code and try it with our Fedora installation as it sounds like just the thing we are looking for to achieve the level of access control with our project. UPEI is committed to making Fedora the basis of a number of innovative new projects, so this was a great set of sessions for all in attendance. In our interviews we detected significant detachment from administrators about publishing’s connection to their core mission; a high level of energy and excitement from librarians about reinventing their roles on campus to meet the evolving needs of their constituents; and a wide range of responses from press directors, from those who are continuing to do what they have always done, to those who are actively reconnecting with their host institutions’ academic programs and engaging in collaborative efforts to develop new electronic products. One of the objectives of this study was to gauge the community’s interest in a possible collective investment in a technology platform to support innovation in university-based, mission-driven publishing. This infrastructure could serve as the foundation for new forms of university-centered academic publishing in the digital age. Sounds like a good idea to me...Portico anyone? For libraries looking at getting into Open Source Eric Hebert has a nice post on the basic OSS applications and some library-specific options. Further to my earlier post on the new D-Lib issue Richard Akerman has a post with some additional and useful links. Richard os one of the better bloggers following the whole library/science thing so it is worth keeping an eye on his posts. Joseph Smarr, Marc Canter, Robert Scoble, and Michael Arrington have created a Social Bill of Rights for the Social Web. It all makes good sense and could go a long way to preventing abuse of User's personal data when signing on to social sites. With 111 comments they have obviously hit a hot one. As roles and responsibilities get sorted out, librarians are testing the waters to identify what present and future roles they may have in these developments; but these are early days, and it is still unclear what those roles may be. While this [steep] learning curve is one factor, a second challenge adds to the difficulty that librarians have engaging in these issues: data science and data management are an awkward fit with the text-oriented constructs and systems that still dominate library relationships with science communication and publishing. So true and so unfortunate. The UPEI Library has embarked on an innovative project we call the VRE (Virtual Research Environment) and although it is early days, it is clear that not only is our role critical, but we can and should be in the lead in terms of defining how this will all play out. s we move ahead with the VRE project it is clear that the knowledgebase libraries have developed in dealing with textual data is directly relevant and transferrable to cyberinfrastructure. As more and more data assets are describe using complex metadata schemas and application profiles libraries represent a natural partner in managing this data and the activities they encourage.